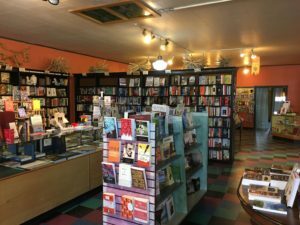 Bookstores have certainly suffered in the Internet Age, but out on the prairie it’s still possible to find independent shops here and there that sell books old and new. Downtown Fargo is one such place! 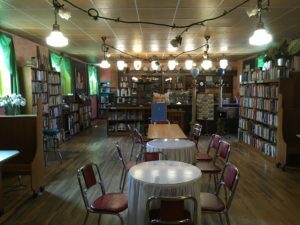 Among all the chic cafes and boutique shops, ZandbroZ stands out as a local landmark selling a variety of gits and novelties, but most importantly, it houses an amazing collection of books unlike anything you’ll find in a chain store! 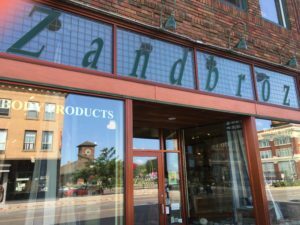 The store was begun by two brothers, first in Sioux Falls, with a second store opening in Fargo later on. 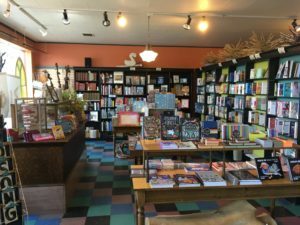 The owner of the Fargo shop,Greg Danz, told me that their location was originally a grocery store decades ago, but that ZandbroZ has been in this spot now for many years, even expanding once it began to offer more than just books! 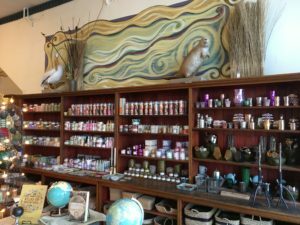 I stopped by recently and was amazed at the comfortable atmosphere and flowing selection of both books and gifts. The best thing about these independent bookshops is that they carry so many used or otherwise classic treasures which can’t be found anywhere else! 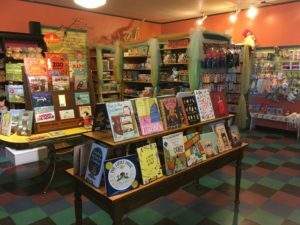 At ZandbroZ, the books are primarily on the left, with the gift shop taking up the right half of the store. 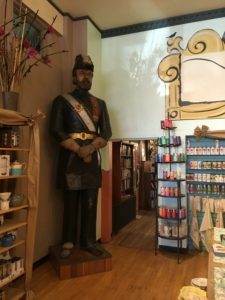 Travel Tip: when you visit ZandbroZ in Fargo, be sure to look for the large statue of a soldier looming in the corner: he leads the way to a hidden back room, formerly the coffee shop, where most of the amazing historical books are kept! If you go, be prepared to walk, as parking can be difficult to find in downtown Fargo. ZandbroZ is located at 420 Broadway. 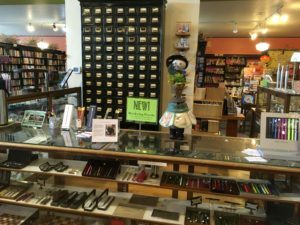 Be sure to call them at 701-239-4729 for hours, and tell ’em that you read about their shop right here on Prairie, Pary of One!